I have a great giveaway this month sponsored by Mont Bleu in anticipation of new products to be released through their site shortly. For those of you unfamiliar with Mont Bleu, they are a manufacturer of Czech made glass nail files and accessories made with Swarovski Elements. I have reviewed their products on my blog before and love their nail files. I own many of them ranging from compact to large and now I am happy to say I am offering a gift set of three to be won through this giveaway! One winner will be chosen at random October 30th through the rafflecopter (enter below), the winner will be announced on Halloween! I picked out this lovely Halloween themed set of nail files which reminds me of candy corn. Glass nail files set with “Waterfall” design. 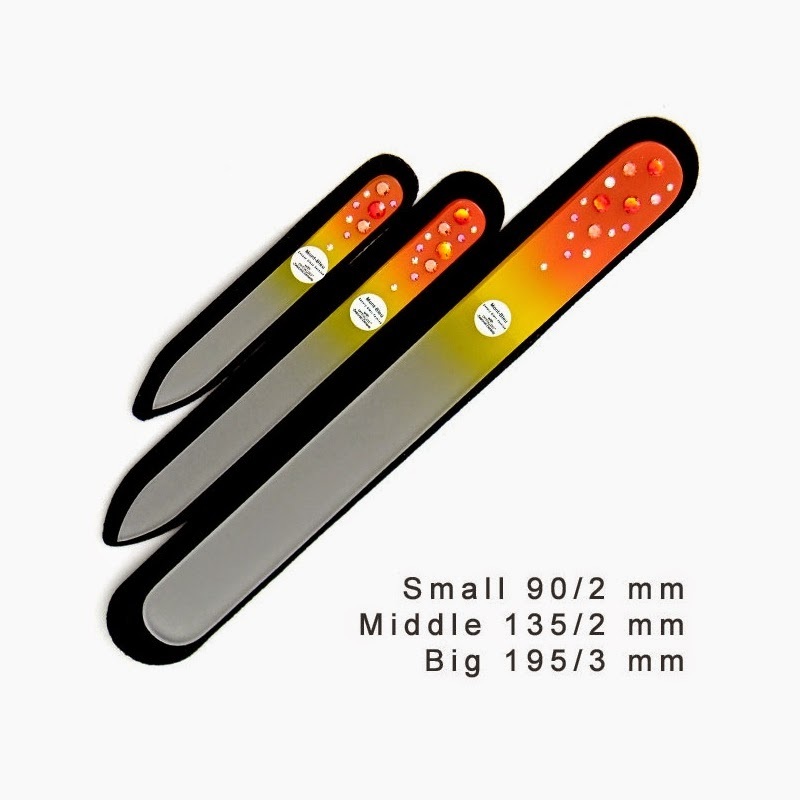 Large, medium and small nail files: one for your purse, one for home manicure and one for pedicures. All nail files are made from Czech tempered glass in Bohemia and have a lifetime warranty on the filling surface. Files are hand decorated with Swarovski crystals and presented in black velvet sleeves.